Is anyone else on the Spennymoor Exchange experiencing abnormally low Broadband download and upload speeds this last week? Mine is only 1mb at the best of times, but lately it has been around the 200kb level. 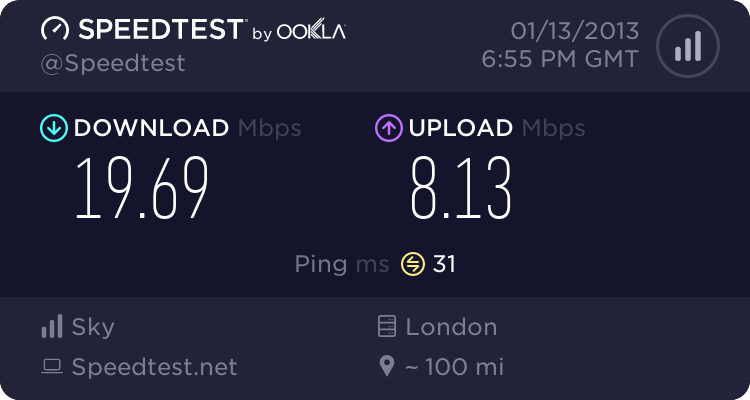 Well it seems that, after 3 months or so, I finally have a usable Broadband connection again. The 40 emails to Orange had little effect. It got 750 hits and a lot of support but failed to budge Orange. So I acquired an email address to the executive suite at EE Towers (who now own Orange). I sent an email and voila success. The Broadband was fixed within a couple of days, I got a free Router (which I didn't need but hey it was for nowt) and I got THREE MONTHS free Broadband. I also got a telephone number to contact the Executive Suite with any problem and they ring me very Friday to make sure I am happy with the service. I must confess to feeling some satisfaction that I may have helped others, who unlike me do not have to time to devote to fighting for a decent Customer Support service. Page created in 6.566 seconds with 42 queries.